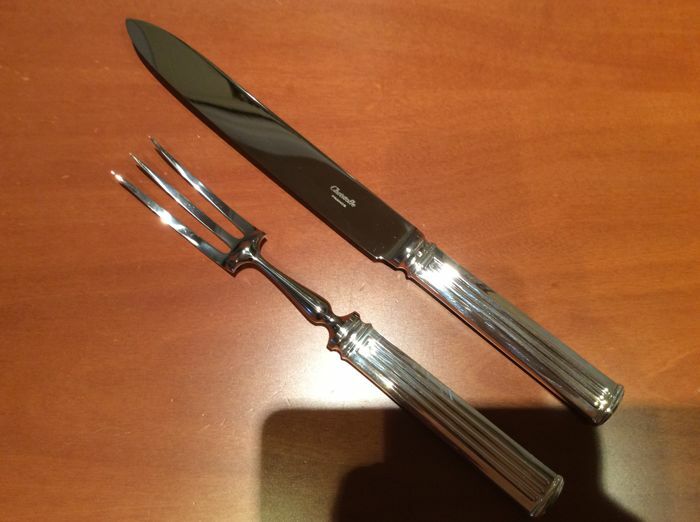 1 Carving knife + 1 Carving fork (e.g. for roast meats). In silver alloy by Christofle, Triade model. New with box. Fork length: 27.5 cm, knife: 33 cm. 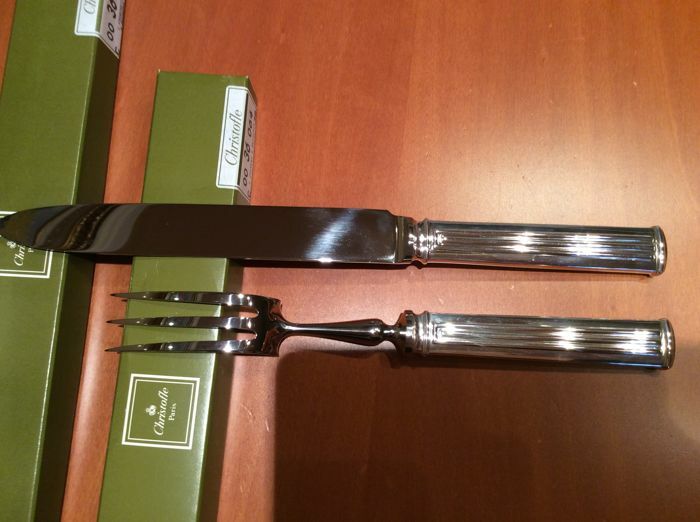 I could now to adjoint these pieces to my Chritofle Perles cutlery.